An excellent choice subhashrini ji. thank you for sharing with us. 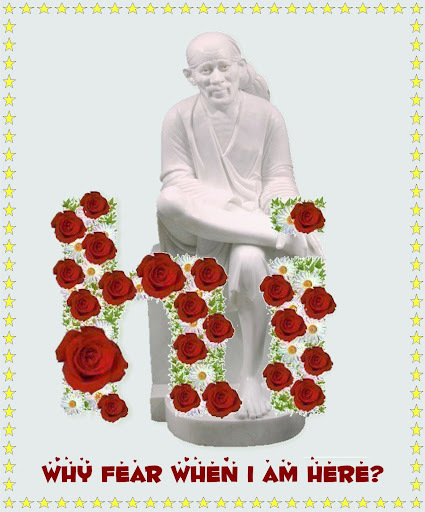 Om Sairam. A poem i came across................Beautiful One.......& very True.....!! than settle for the one available. than settle for one who's around. Best to wait for the right one. Life can seem ungrateful, and not always kind. Life can pull at your heartstrings, and play with your mind. Life can be blissful, and happy and free. Life can put beauty, in the things that you see. Life can place challenges, right at your feet. Life can make good, of the hardships that we meet. Life can overwhelm you, and make your head spin. Life can reward those, determined to win. Life's days can bring you, both smiles and frowns. For Sai your the one dear to God almighty. Sai be with us always,for your the closest to the almighty. I would make it to today; but I did! they have served to make me stronger. God has already given me. you can keep your head,"
reasons or gain behind it. can rebuild it all over again. रो कर करे या हंस कर करें , स्वासं तो पूरे करने है !!! सौपं दे सारे धागें उसको जो असली तेरा रचयिता है!!! कि मैं एक नास्तिक हूं....!!! साईं ने कहा- मत करना ?? एक बार अनजाने में की हुई गलती बार बार मत करना II!! !